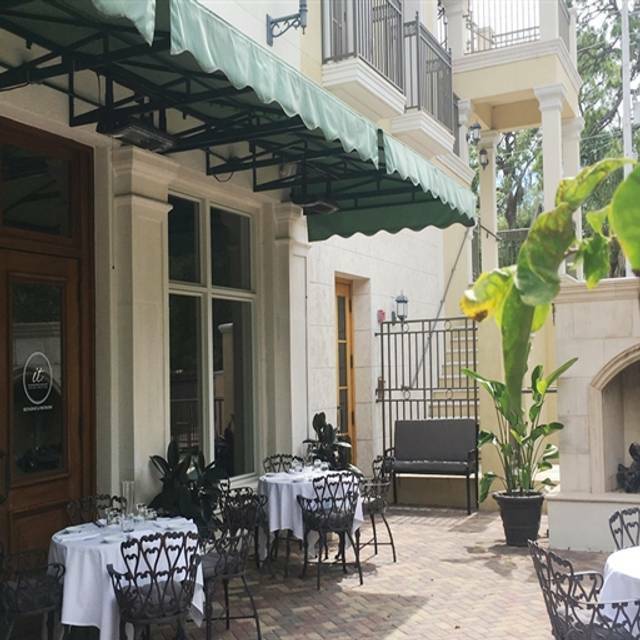 Located in Citrus Square of Sarasota's historic Rosemary District, Italian Tradition Restaurant & Martini Bar is downtown Sarasota’s most-exclusive dining experience, serving authentic Italian recipes made with only the freshest and finest ingredients. 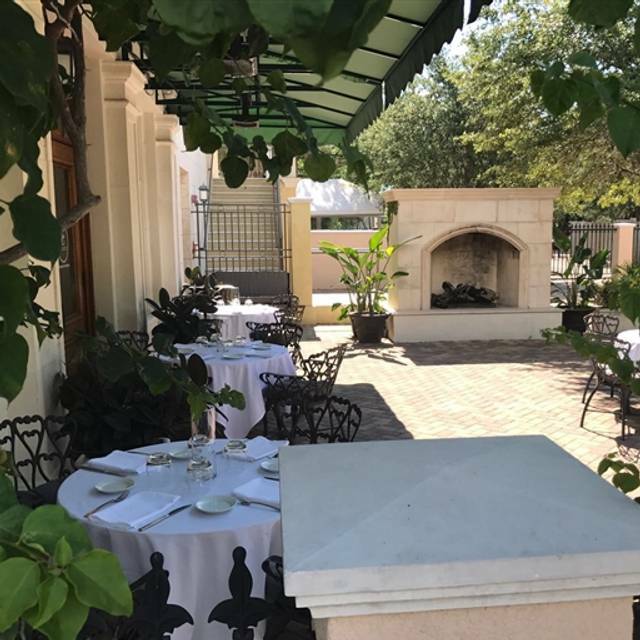 Embrace the ambiance of Italy and enjoy a meal in the intimate family dining room, or step out onto the patio for a romantic evening by the fire. Experience the encapsulating aromas and the delicious flair of classic Italian dishes and handcrafted cocktails. Owners and International Restaurateurs, Carlo and Tina Narbona, have created a menu that can easily be modified to accommodate vegetarians, vegans and those with food allergies. Italian Tradition Restaurant & Martini Bar offers guests a memorable experience of culinary delight, served in a modern atmosphere and prepared with Italian spirit. Food was delicious, excellent service...definitely come back!! Congratulations to the owners! My husband and I celebrated our 58th wedding anniversary on Thursday 4/15 at IT Italian Tradition. We have been to this restaurant several times in the past and have never been disappointed with either the food or the service. We highly recommend IT for any occasion. Excellent food and wonderful atmosphere and service. Amazing food! Everything was devoured!! Authentic home cooked Italian food! Will be back within a week for sure!!! Excellent Italian food. My home made raviolis with shrimp and my wife’s branzino were both very good. The food was excellent. I had ravioli stuffed with shrimp. The only reason I gave 4 stars and not 5 is twofold. First, the portion was rather small and it should have been more substantial for the price charged. Second, the shrimp used were the very tiny ones - easier for the chef but not what I expected. However, the experience was a very pleasant one and I will be back. The outdoor space was truly delightful. The restaurant was not busy. We had to ask someone to take our drink order. I ordered a Black Russian. Obviously they had no Kahlua and brought the drink with some substitute which was awful. I should have been given the choice to order something else if they had told me they didn’t have Kahlua. I also felt that $13.50 was a lot of money for a mixed drink. The food was not enjoyed by the group. My wife ordered Shrimp and Scallops. The scallops were rubbery and fishy tasting. My minestrone soup was a collection of vegetables in a tasteless broth. My gnocchi was good, however. Will not recommend or return. The food as always was excellent but the service was very slow. We were the last to be seated at 7:15 so not late but it took 45 minutes before someone took our drink order and then another half hour for our food order to be taken. Clearly they need more servers. The service this time and the last was inconsistent. Eating outside is pleasant but inside is a bit noisy. The Passat carbanera was the best I ever had. The bursts cheese was just ok. The food was quite good and well priced. The restaurant is upscale and worth a visit. However there is a shortage of staff extending the wait time for service. Excellent wine list as well. Food is attractive and delicious but portions a bit skimpy for the price. Could serve or at least offer more bread without waiting for patrons to request it Quiet, as tables are well-spaced, and that is much appreciated. Loved the outdoor dining area too. We had reservations for 2 outside confirmed by opentable and when we got there we were told they didn't have any outside available. Absolutely wonderful! Italian Tradition is the best restaurant in town! Don’t take my word on it, go there and find out! You won’t regret it! Love the place. Keep going back! We ate outside which was very pleasant! The pasta was excellent and enjoyed by all 4 of us. The homemade was yummy and the pistachio gelato dessert a big hit. The wait staff were attentive and cheerful! We will definitely return soon!!! The staff were happy , helpful and engaged. The food was brought to the table a t a comfortable, not too rushed, not slow pace. Everything arrived hot, superbly presented with flavours that were delicious without being overwhelming. It was a complete experience. We ate outside on the lovely patio. The food was very good and our server was attentive after a somewhat slow start. Serving only one roll per person seems somewhat tacky in such an expensive restaurant but increasingly that seems to be the norm. Best Italian in Sarasota and great owners and staff. 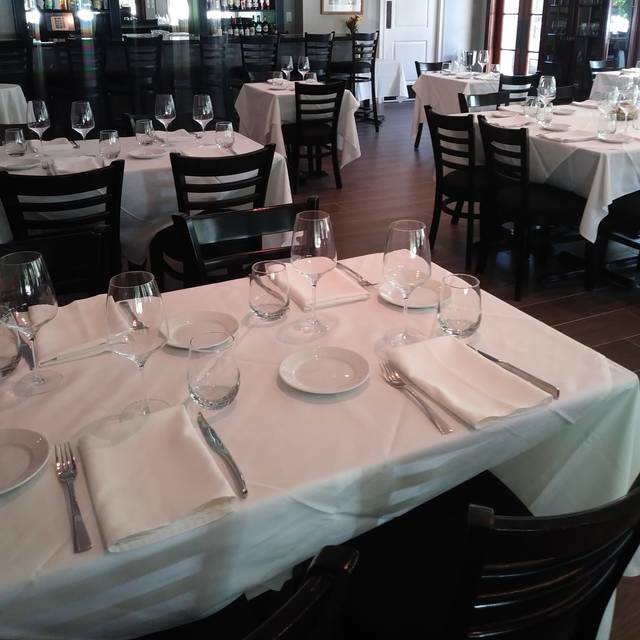 We love going to Italian Tradition because of the quiet atmosphere. This last trip was a big disappointment because it was very very loud. The food was delicious, as usual, but the noise level was very high. We will go back because we like the restaurant and owner so much, but may wait until after the tourist season. IN ALL FAIRNESS OUR SERVICE WAS LACKING DUE TO OUR GUESTS BEING VERY LATE AND THIS WONDERFUL ESTABLISHMENT GOT SLAMMED ON A SATURDAY NIGHT. SOME FOOD WAS SERVED COLD AND SOME LATE. WE THINK THAT THERE SHOULD BE BREAD ON THE TABLE AT LEAST UNTIL FOOD ARRIVES. SOME PEOPLE ENJOY BREAD WITH THEIR MEAL. 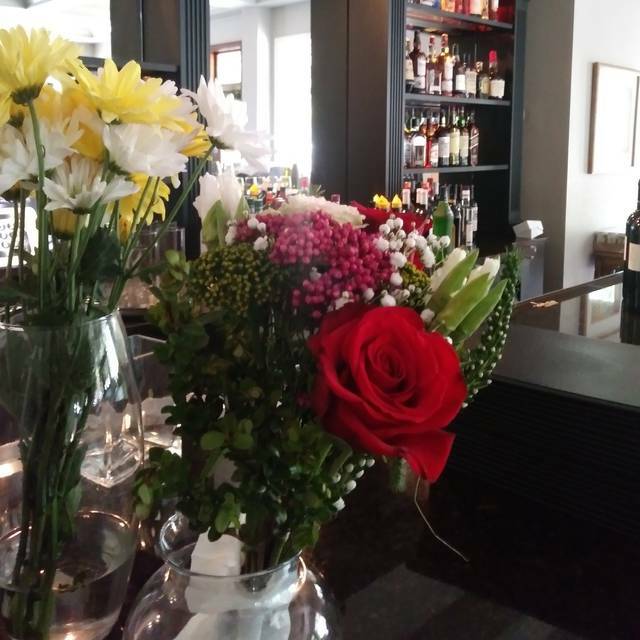 WE ARE HUGE FANS OF ITALIAN TRADITION AND ALL OF YOUR SERVERS. JULIA BEING OUR FAVORITE. ALL OF THIS SAID BECAUSE WE WANT YOU TO DO WELL. This is real Italian restaurant, where ambiance, service, and deliciously tasting food create an unforgettable experience. 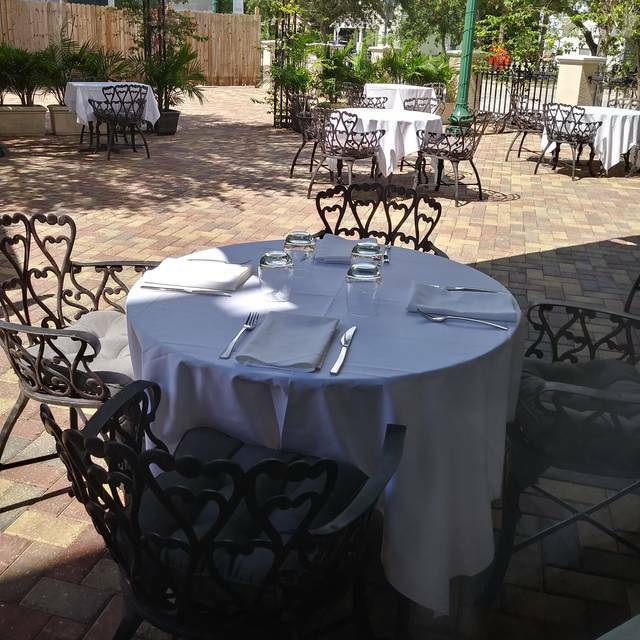 There are many Italian (like) restaurants in Sarasota that try to emulate the real Italian food, but none of them come even close in matching the quality and authenticity of Italian food. 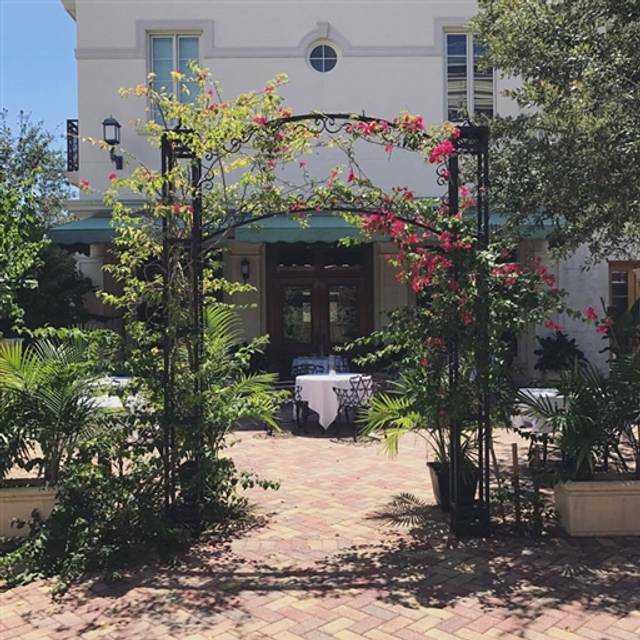 “Italian Tradition” is a real gem in the culinary world of Sarasota, which bring the Italian food experience to Florida. This is a classy restaurant, the makes you feel like being in Italy. If you are a gourmet, and enjoy genuinely high quality food, Italian Traditions is the place to be. This was our second visit to Italian Traditions, and we really loved it. Totally Excellent! Fantastic authentic Italian cuisine. food varied from quite good to inedible. 2 dishes sent back. Portions very small and extremely overpriced. they call themselves a martini bar but have very few choices. We had the best time on Saturday night at IT. The food, service, environment were just perfect. We sat outside in the courtyard and it was so beautiful. The fireplace is such a nice touch. We will be back. Overpriced but nice. Don’t think we will return for that reason. We dined at Italian Tradition for our Valentine’s day dinner. This was our first time dining here. The restaurant was very busy due to the holiday. The service was a bit slow, again, it was Valentine’s Day so I’m sure this is the reason why. However the waitstaff were all very friendly and made our dining experience very enjoyable. The food was delicious! Bring your California appetite and you still leave hungry. WE HAVE DINED SEVERAL TIMES AT ITALIAN TRADITION AND WAS ALWAYS MORE THAN PLEASED. HOWEVER ON OUR LAST VISIT (WITH ANOTHER COUPLE (TO WHOM WE HAD RAVED ABOUT THE QUALITY OF THEIR OFFERINGS) THREE OF THE FOUR OPINED THAT THE FOOD WAS JUST AVERAGE. THEIR PRICES ARE SOMEWHAT HIGH, BUT WHEN THE FOOD IS SUPERB, MOST GLAD TO ACCEPT--WHEN FAIR, YOU JUST DON'T HAVE THE SAME FEELING. WILL THINK ABOUT A RETURN. ONE INSTANCE DOES NOT MAKE A FINAL DECISION. This is the best restaurant in Sarasota. Food is amazing, consistent, and fresh every time. Cocktails are also delicious. This is a place to go to relax, savor and enjoy the food, not for those who want to rush a meal. The wine selection is excellent to pair with food and the owners have true passion. The restaurant is lovely indoors and there is also a cozy fireplace on the patio to enjoy. The food is absolutely Italian authentic. It is gorgeous. We love slow eating, but the charm of slow eating is just a little lost because the service is not great. The reason, not enough staff. The owner, who is charming, also greets people, tends bar and takes orders. It's just too much. We only saw three other servers in the entire restaurant. They need to hire some help. I would have had another glass of wine, but by the time someone got around to asking me I was finished with my meal. They lost out. I love the concept, but they need a few more people working in the evening. The patio is lovely and again the tuna tartare is divine. The gnocchi is so fresh. Just need to invest in a little more help. Our dinners were all delicious. The server was lovely, helpful and efficient. Definitely will go back again and hope for the same consistency. They come around with one very small bread roll for everyone. My meal had two small scallops and 3 shrimp over maybe a 1/2 cup rizotto. $32.00. Rizotto was hard and undercooked. My husband had the oso bucco which he said was very good. He had a good size piece of veal over rizotto which was not undercooked. I normally don't get an appetizer but had I know the size of the entries I would have. I still think it's overpriced.